Hi everyone, I’m back with a couple of quick cards I made recently. 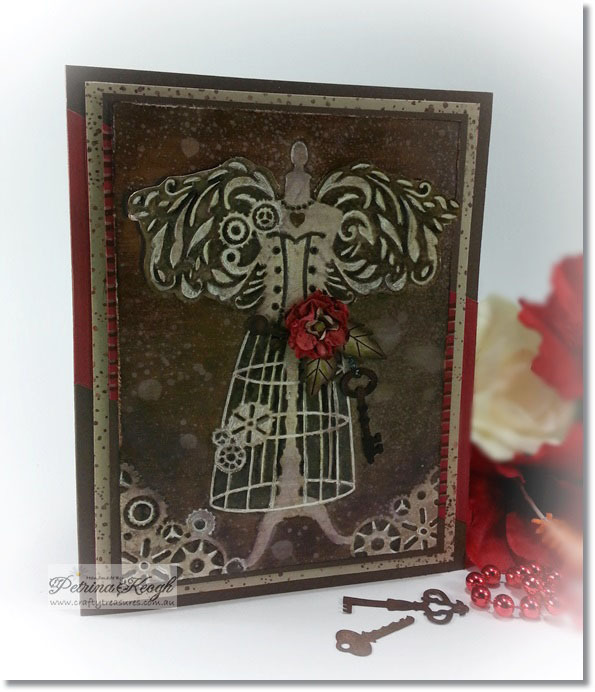 Today’s projects I utilized the same Couture Creations – Vintage Dressmaker embossing folder design for both these cards and designed two different styles for Splitcoast Stampers Colour Challenge (CC515)”A Really Crumby Espresso”, Hosted by Karen B Barber. 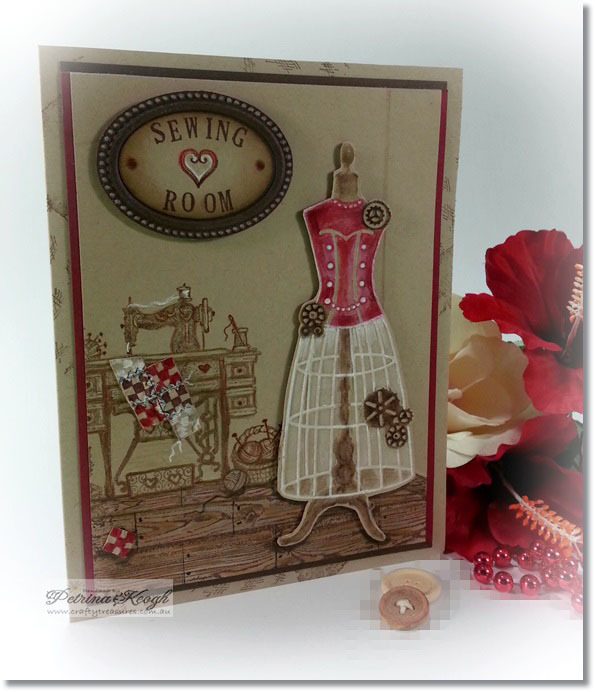 This challenge was to use these three Stampin’ Up colours or use the closest colours you have. *For Double desserts make 2 cards and use 2 punches on each one. I originally aimed to get one card made up and I got it finished reasonably quick and thought OK… for fun, I’ll go for double desserts and started making a my 2nd card, but as luck would have it, it just got too busy over the last three days, but I have managed to complete with any snippets of time free the 2nd card for this weeks Splitcoast Stampers – Colour Challenge, so without further delay, here are both my cards. I intentionally left this one sentiment free, until I am ready to use it. This one I cut out and trimmed the wings off and adhered with 3D foam tape for different look. They both turned out fantastic.